When the iconic Rolex Submariner was first introduced in 1954, it represented the first commercially available timepiece capable of submerging to 100 metres. Hands down, the Submariner is Rolex’s most famous and frequently purchased timepiece – and for good reason, too. Its timeless and instantly recognizable design is versatile enough to work in both formal and casual situations, and its robust construction guarantees that it will last a lifetime. A Rolex Submariner is perfectly capable of sitting on a wrist by itself. However, if you wish to step your wrist game up a notch, it's time to compliment your Rolex Submariner with a luxurious bracelet from Baxter&Baxter. All images courtesy of karleonesub16610. Rolex Submariner x Baxter&Baxter Deep Blue 4mm & Red Sea 6mm bracelets. Rolex Submariner x Baxter&Baxter Deep Blue 4mm bracelet. Rolex Submariner x Baxter&Baxter Black Sea 6mm Bracelet. 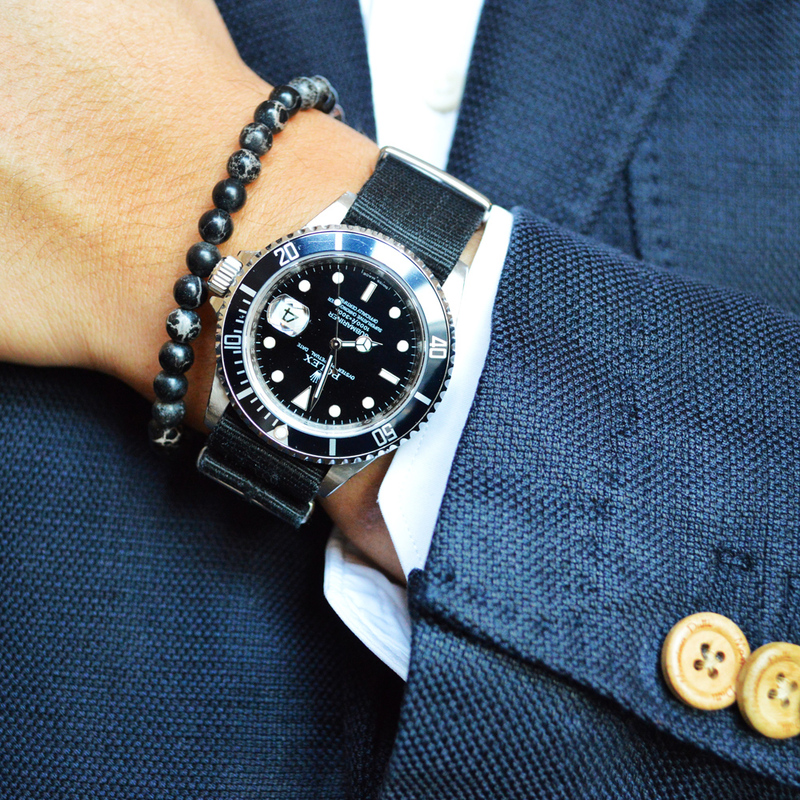 Rolex Submariners x Baxter&Baxter Deep Blue 4mm & Black Sea 6mm Bracelets. Rolex Submariner x Baxter&Baxter Gunmetal 6mm bracelet.